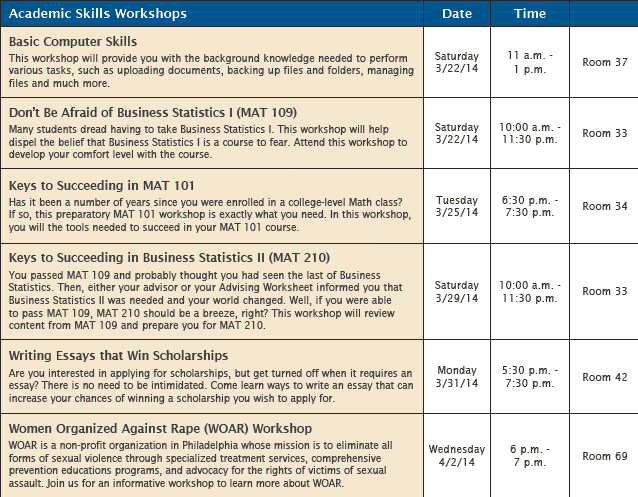 You'll notice that the Walker Center is offering workshops both on campus and online, so you can fit them into your busy schedule on-the-go! 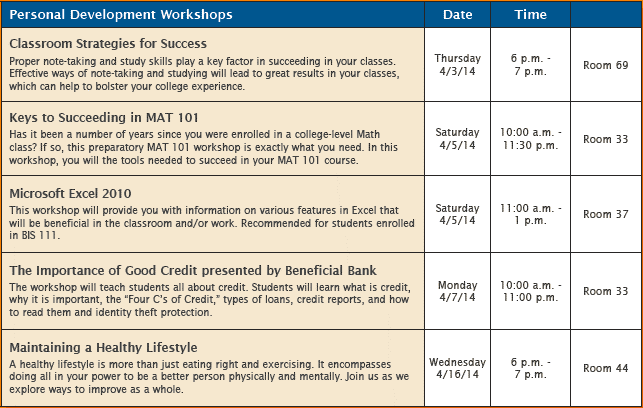 To register for any of the workshops mentioned above, contact the Walker Center at 888.467.3472, ext. 9251, or email wcae@peirce.edu.